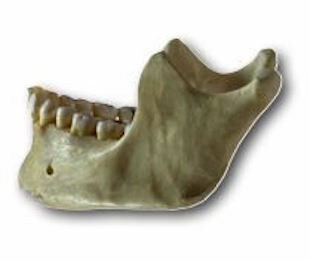 To remain strong and vital, your jaw bone needs to be stimulated by the pressure of chewing, biting, and talking. Each tooth has a root structure that extends into the surrounding bone. At David C. Montz DDS in Friendswood, we advocate dental implants when a tooth is extracted and its natural root is gone. We make every effort to save the root structure, when there is no choice but to extract a tooth. But it isn’t always possible, and a side effect is recession of the jaw bone where the root used to be. That is where dental implants come in. Dental implants provide a new, artificial root that helps to keep the surrounding bone healthy and strong. An implant is a strong titanium post that replaces the natural root, and eventually fuses to the surrounding bone. After the implant has been placed and fused, and healing is complete, another post is inserted – this time, into the implant. The new artificial tooth, or restoration, is then attached to the post. Implant restoration is a safe and effective treatment for tooth loss that function like natural teeth. The team at David C. Montz DDS in Friendswood provides dental implants and other services, such as gum disease treatment and cosmetic dentistry. Schedule an appointment with us today.